Like most Indian languages, Malayalam too traces its origin to Brahmi – one of the oldest writing systems in the sub-continent. Also known as the Ashoka script, it was widely used during the reign of the Mauryan dynasty. The earliest examples of Brahmi were noted on the Ashoka Pillar belonging to the time period of 3rd century BC. In South India, a variant of this script, called Tamil-Brahmi developed in due course to write the Tamil script. This Tamil-Brahmi script forms the basis for Vattezhuthu that is regarded as the forerunner of Malayalam. This rounded form of writing that had about 30 alphabets was used to write Malayalam. While Vattezhuthu was used to write Dravidian sounds, the Grantha script was used to write the Sanskrit sounds. Some historians believe that these two writing systems merged to form the Aryaezhuthu. However, this new writing style that incorporated both Dravidian and Sanskrit sounds were more popular among the high-caste educated people. 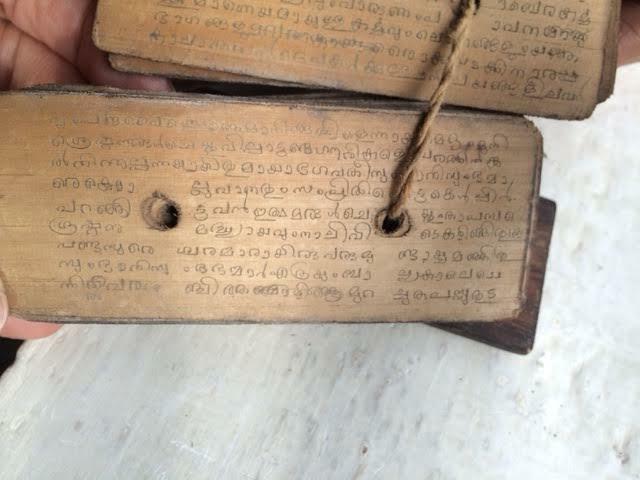 Unlike the Tamil scripts that were inscribed on rocks and copper plates, the Malayalam scripts were written on palm leaves using ezhuthani (a type of pen). This refined from of the present Malayalam started gaining popularity during the 16th century. It coincides with the works of Tunjathu Ramanujan Ezhuthachan, who has been credited with standardizing and popularizing the language. And parallely, another system existed called the Kolezhuthu – which was a more degenerated form of Vattezhuthu. This writing style continued to exist till the 18th century, and was more popular in Cochin and Malabar areas. Another form of Vattezhuthu, Malayanma, was used in the Tiruvithamkoor areas. With the advent of printing technology in the 19th century, Malayalam language attained a more standardized form. An English missionary, Benjamin Bailey, set up a printing unit in Kottayam and Malayalam works were first published in 1846. From then on the Malayalam script had an organic development that underwent changes along with the changing technologies. Evolution of Malayalam script is a study in progress and more discoveries are being made and existing theories being toppled by new findings. Thought Factory Design and Viakerala have been doing research in this field for the past many years.